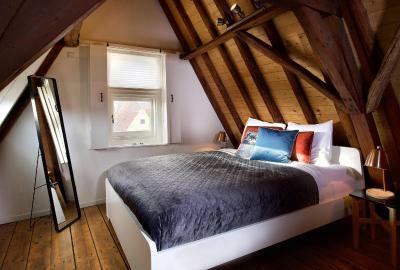 Lock in a great price for Haarlem Hotelsuites – rated 9 by recent guests! Amazing location. 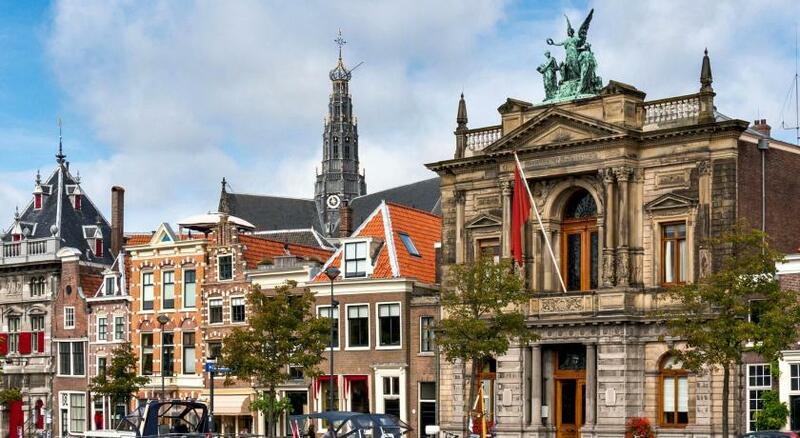 Enjoyed staying in the heart of Haarlem. Great escape from touring busy Amsterdam. Comfortable bed, view of StBavo spire from balcony although too cold to sit out. Efficient heating. 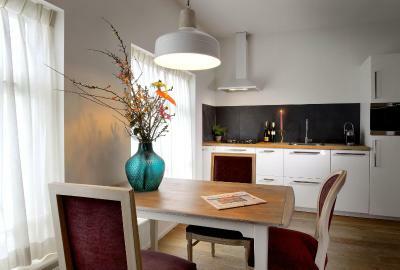 Central location, a short walk to buses, train, many shops, restaurants and cafes. 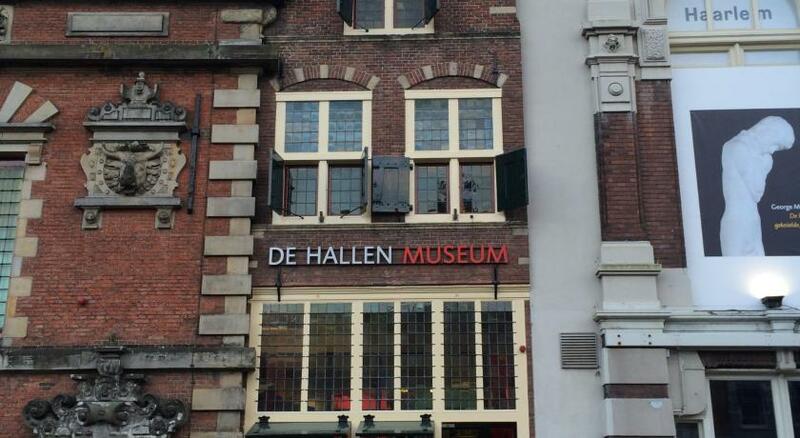 Memorable museums. 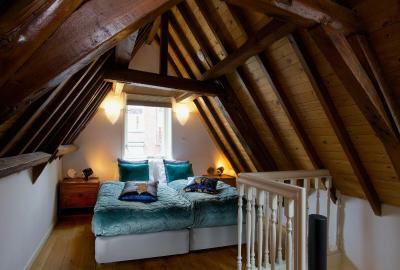 Perfect for a three night stay. Very helpful and friendly reception, an excelent solution for an unexpected technical issue, I was surprised and very grateful for how they received me. The suite was very nicely decorated and super comfortable. The location is perfect. We’ll definitely stay here on our next visit. Blissfully quiet nights as the property is on a walking-only street. Very spacious two room suite with a large patio, although there was no expectation of privacy on the terrace as upstairs room and room behind have windows facing it. Having said that, we heard nor saw anyone else. Suite was perfect in every way! Bed was super comfy and all of the sunlights ensure the room was light and bright, despite being on the top/attic level, yes you climb 2 steep flights of stairs, but my 76 year old, cancer recovering mom did just fine. One important thing pictures don't capture is the shower, which is separate from the bath tub. Lovely view of garden and cathedral. 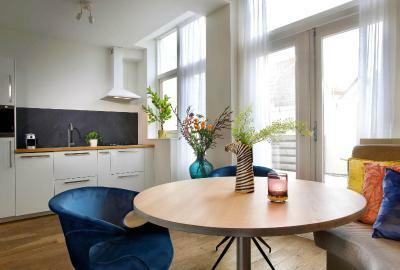 Nice and quiet too, but located by amazing dining options. In room coffee/tea free of charge, and if you choose to have their breakfast, they bring it to the room! Definitely recommend. We stayed in the Suite De Lang Veer II. Nicely appointed suite in an excellent location. Problems with the heating though but they should have it fixed by now. 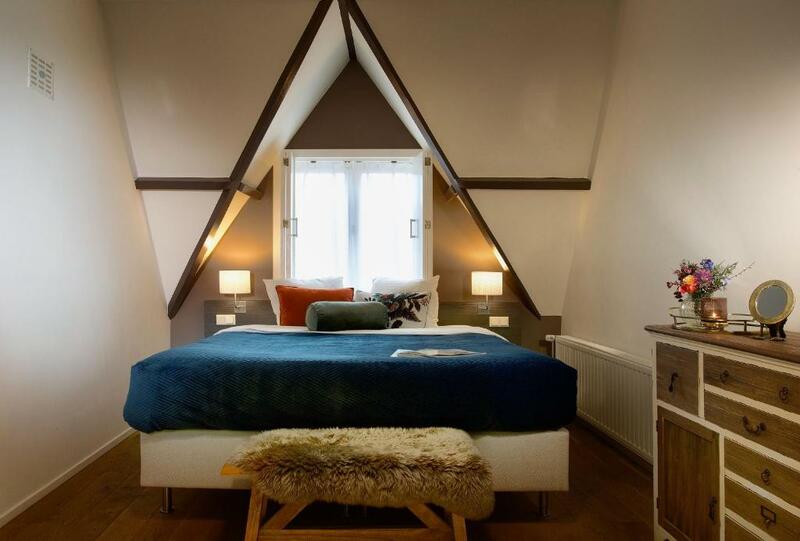 Haarlem Hotelsuites This rating is a reflection of how the property compares to the industry standard when it comes to price, facilities and services available. It's based on a self-evaluation by the property. Use this rating to help choose your stay! 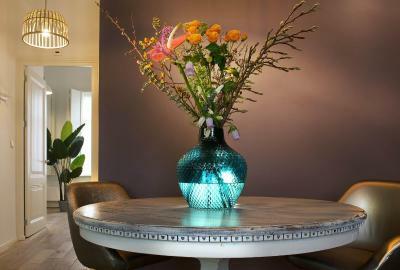 One of our best sellers in Haarlem! 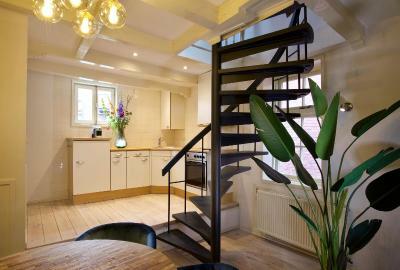 Haarlem Hotelsuites has spacious and homey accommodations in Haarlem’s city center. There is free Wi-Fi and shops and restaurants are only steps away. 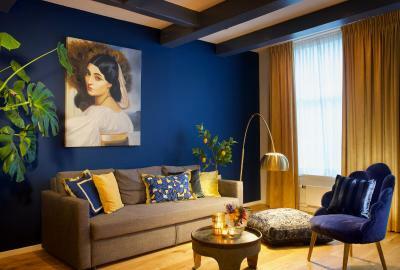 The Haarlem Hotelsuites are large and decorated in style. 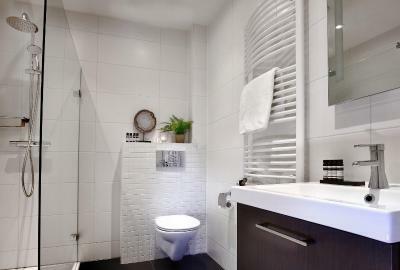 Each has a luxurious bathroom and coffee and tea facilities. 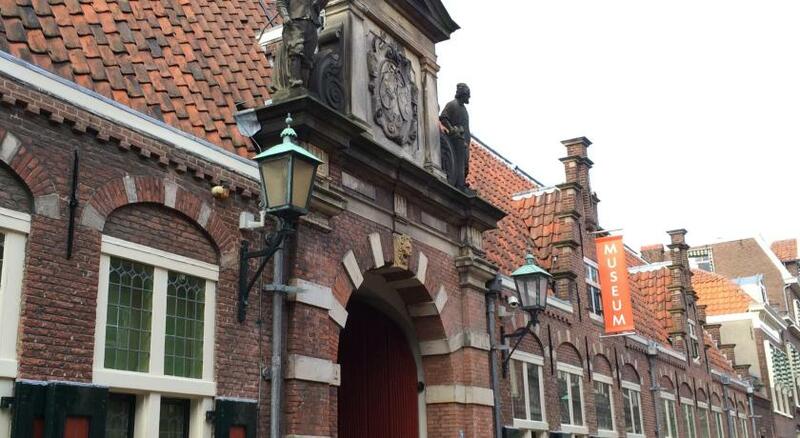 If you like to explore the surroundings, the Frans Hals museum is just over a quarter mile away. You can reach Haarlem Central Train Station by foot, which is located about a half mile away for easy access to Amsterdam. Schiphol Airport can be reached easily by either a bus or train. 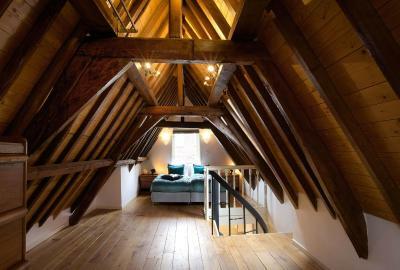 This property is also rated for the best value in Haarlem! Guests are getting more for their money when compared to other properties in this city. 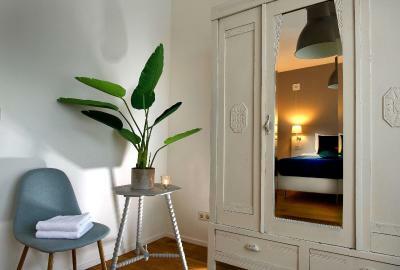 When would you like to stay at Haarlem Hotelsuites? 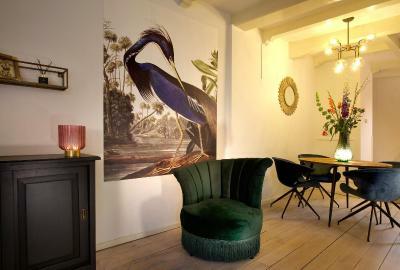 Suite De Lange Veer I is 33 foot walking distance from the reception. 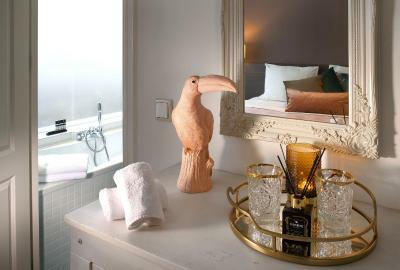 The suite has recently been renovated and offers a separate bedroom, a bathroom featuring a shower and toilet, and coffee and tea facilities that are included in the price of the reservation. 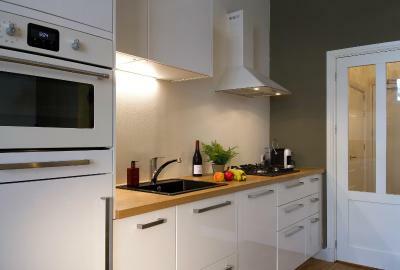 A refridgerator, cutlery, glasses and china can also be found here. 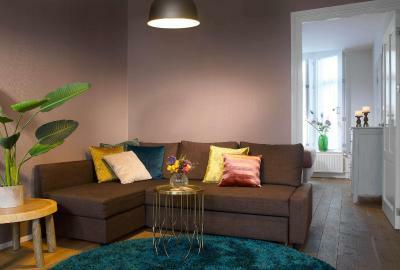 The living room is equipped with a LCD flat-screen TV and a DVD player. Please note there is no elevator available and the suite can only be accessed by stairs. 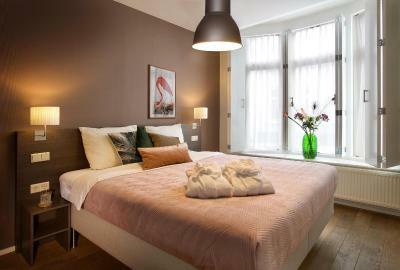 Please note that the Suite 't Spaarne rate is based on 2 guests. Maximum occupancy is 4 guests with 2 extra beds (see Hotel Policies). 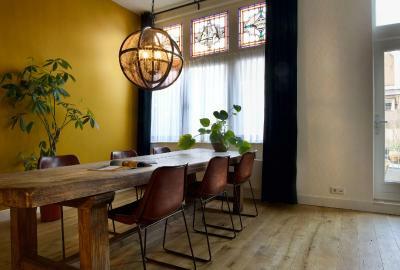 Suite De Lange Veer II is 33 foot walking distance from the reception. 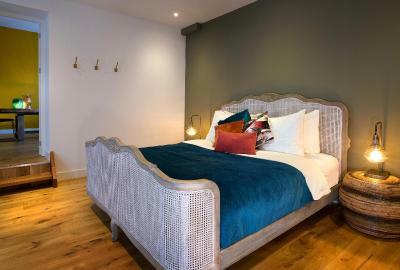 The suite has recently been renovated and offers a separate bedroom, a bathroom featuring a shower and toilet, and coffee and tea facilities that are included in the price. A refrigerator, cutlery, glasses and china can also be found here. 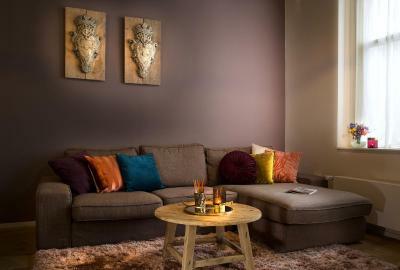 The living room is equipped with a LCD flat-screen TV and a DVD player. A terrace can be found outside, with a view on the St-Bavo church. Please note there is no elevator available which means the suite can only be accessed by the stairs. This suite offers a spacious layout. 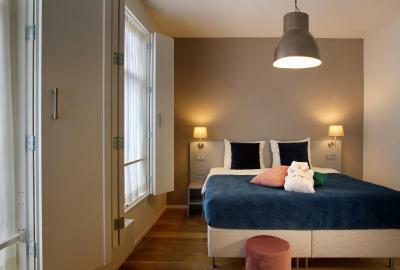 Please note that the Suite De Gravin rate is based on 2 guests. Maximum occupancy is 4 guests in 2 extra beds (see Hotel Policies). Set in a historical building at walking distance from the reception, this suite has a separate bedroom including a double box-spring bed. 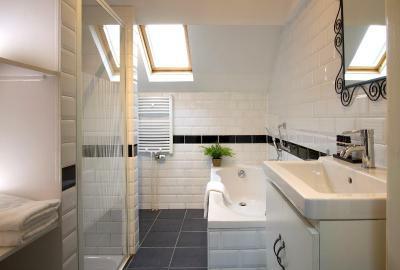 The bathroom offers a rain shower and a hairdryer. 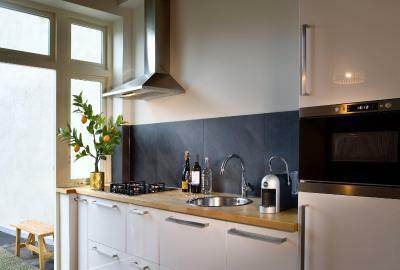 Lavazza coffee and tea facilities are included in the room price and can be found in the fully-equipped kitchen. This room has features an LCD flatscreen TV. Set in a historical building at walking distance from the reception, this suite has a separate bedroom including a double box-spring bed. 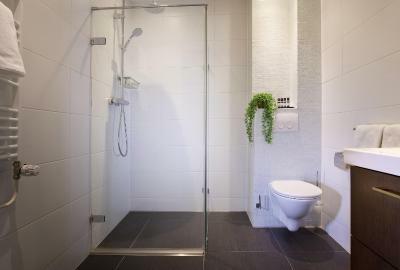 The bathroom offers a rain shower, a bath and a hairdryer. Lavazza coffee and tea facilities are included in the room price and can be found in the fully-equipped kitchen. This room has features an LCD flatscreen TV. Set in a historical building at walking distance from the reception, this suite offers a separate bedroom including a double box-spring bed. 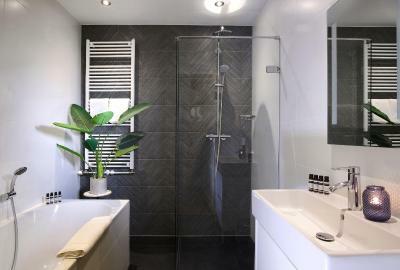 The bathroom includes a rain shower and a hairdryer. Lavazza coffee and tea facilities are included in the room price and can be found in the fully-equipped kitchen. This room has features an LCD flatscreen TV. Set in a historical building at walking distance from the reception, this suite has a separate bedroom including a double box-spring bed. A sofa bed can accommodate 2 more people. 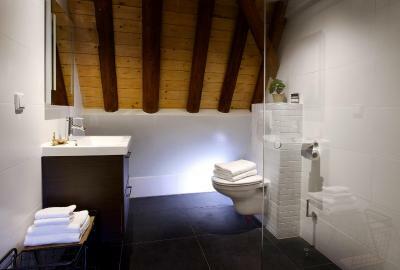 The bathroom offers a rain shower, a bath and a hairdryer. Lavazza coffee and tea facilities are included in the room price and can be found in the fully-equipped kitchen. This room has features an LCD flatscreen TV. 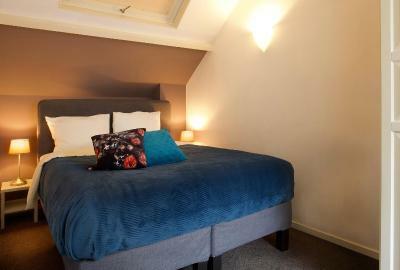 The suite is located in a historic building and has a separate bedroom with a double bed with boxspring bedding. The bathroom has a rain shower, a toilet, a sink and a hair dryer. The coffee and tea are from Lavazza and are included in the room rate. 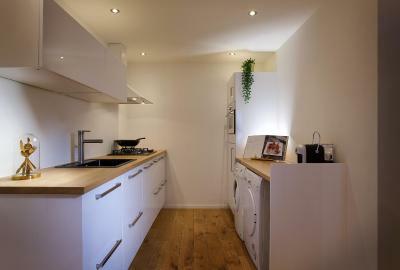 Furthermore there is a fully equipped kitchen. The room has a flatscreen smart TV. 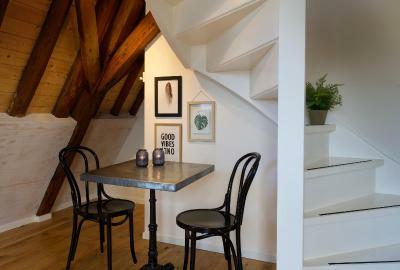 The room can only be accessed by stairs. 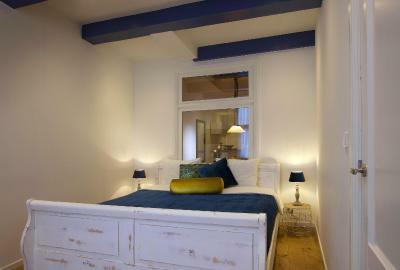 The suite is located in a historic building and has a separate bedroom with boxspring bedding for 2 people. 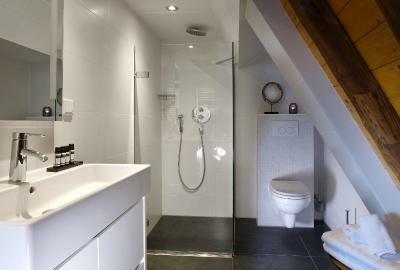 The bathroom has a rainshower, a sink and a hair dryer. The coffee and tea are from the brand Lavazza and are included in the rate. 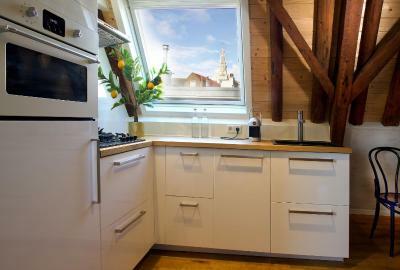 Furthermore a fully equipped kitchen is available and there is a flatscreen with LCD-TV. Please note there is no elevator available. 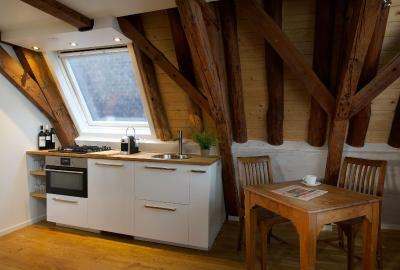 This suite features a tumble dryer, microwave and cable TV. This suite has a washing machine, kitchenware and microwave. This suite features a stovetop, seating area and microwave. This suite has a dishwasher, oven and sofa. 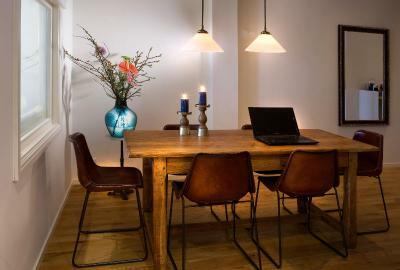 House Rules Haarlem Hotelsuites takes special requests – add in the next step! ATM card Debit card Haarlem Hotelsuites accepts these cards and reserves the right to temporarily hold an amount prior to arrival. Haarlem Hotelsuites accepts these cards and reserves the right to temporarily hold an amount prior to arrival. Please note that guests can reserve parking at a surcharge of EUR 22.50 per car per day. The parking area is a 10-minute walk from the accommodations. The winding and narrow stairs leading to the apartment. No lift to our 3rd level apartment. 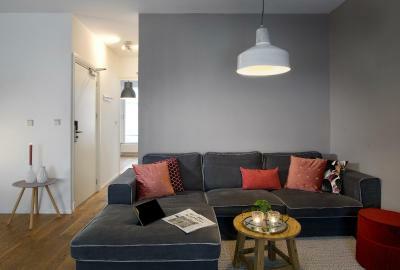 As the apartment is situated among the shops, can be noisy sometimes. The staff gladly carried our luggage up to our 3td level apartment. 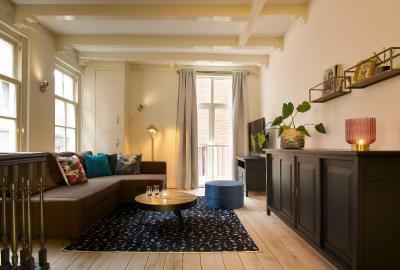 The apartment is in Haarlem City Centre itself and this makes it convenient for us to find food & groceries, great for shopping and accessible to transportation. The apartment is cleaned everyday. The kitchen facilities are great! Too expensive for what it is. Rubbbish shower and dated bathroom. Cheap. Can hear everything in the room upstairs even the cleaner early in the morning. For €330 for 2 nights would of expected a welcome drink. Great location and comfortable bed. 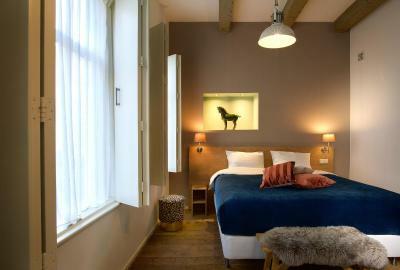 We stayed in the Gravin Suite which was so comfy, aesthetically pleasing and full of fantastic facilities. I must emphasise that the staff were super helpful, kind and friendly. 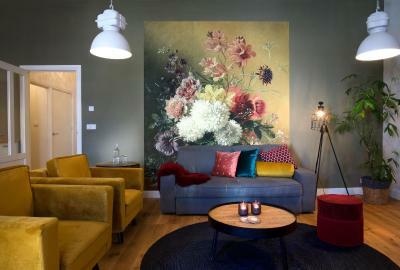 Its a shame there isnt a Haarlem Hotelsuites in every country! 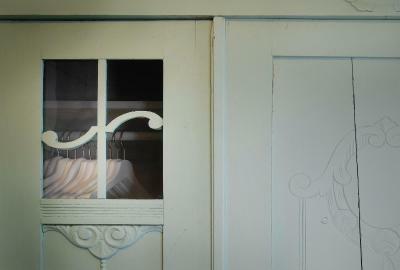 The beds are very uncomfortable; the one in the master bedroom has an indentation in the middle of the mattress. The wooden floor in the apartment is extremely squeaky: not just here and there, but every step you make is accompanied by a very loud squeak. 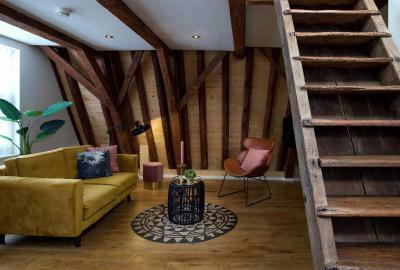 Fantastic location in an old building with history. The staff is very helpful and friendly. No oven, toaster or plug in the sink. Excellent location close to shops, bars & restaurants and walking distance from airport bus & train station. Excellent customer service from staff, in fact the best we’ve ever had. Congratulations on such a great team you have at Haarlem Hotel suites. I would have preferred the St Bavo hourly chimes to cease during the night. 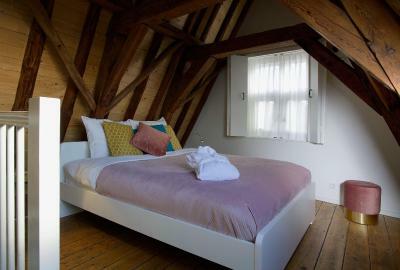 The bed is against a sloping wall so whilst it’s very comfortable to sleep in it’s not possible to sit up in bed. Small shower and loo cubicle. 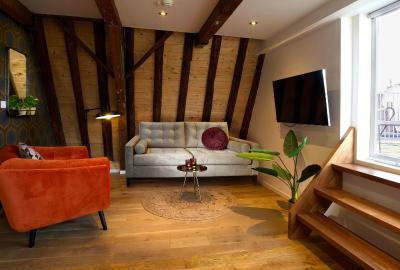 The location was excellent but the standard of the suite was only average and did not meet our expectations. The front room with the tv was very cold , the suite itself while clean was very basic and dark.